This entry is the first in what I hope will become a continuing series of interviews with industry professionals. Rather than comprehensive, career-spanning interviews, I will focus on one project or aspect of a person’s career that relates to an experience of my own. Loyal readers can enjoy in-depth detail, and I have the chance to learn something professionally valuable. The format will be unusual, since half the blog will be interview and the rest my own experiences and inevitable opinions. But the interviews will be easy to spot if you want to scan ahead to the pearls of wisdom from people far more knowledgeable than myself. For this first interview, I’m thrilled to have spoken with renowned composer Bruce Broughton. I’ve loved Bruce’s work ever since I was a kid, when I first heard his knock-out scores for Young Sherlock Holmes and Silverado. The latter project, combined with his brilliant work for Tombstone, instigated my life-long love affair with classic Westerns and their scores. Believe it or not, this was actually for a recent episode of Terminator: The Sarah Connor Chronicles! It served as a pleasant break from the angst-ridden, dark, dramatic underscore I provide for this series. 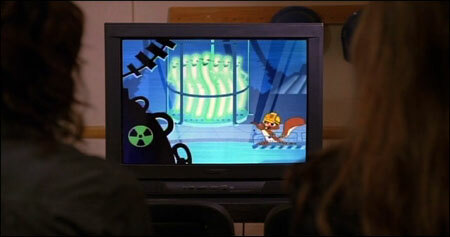 Atomic Al stars in the safety training video shown to Sarah and Cameron at the Serrano Point Nuclear Power Plant in “Automatic for the People.” This “show within a show” is on screen for a fleeting 43 seconds (and the music is barely audible at that), but I nevertheless lavished a full day of my precious writing schedule scoring it. The labor that went into this brief cue made me appreciate this lost art in a whole new way. My score for “Atomic Al” is a tribute to the masters of animation scoring, in particular Carl Stalling and Scott Bradley. 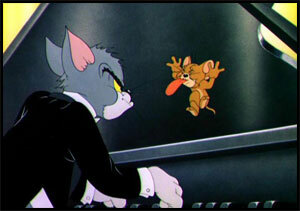 Bradley is most famous for his scores for the classic Tom & Jerry cartoons. While he’s among my personal favorites, it’s Stalling’s pop-culture-infused scores for Warner Bros.’ Looney Tunes that set the standard for animation scoring for the rest of the century and beyond. You may not know their names, but you know their music. Their scores require absolutely no description, for anyone who has been near a television in the past fifty years knows what a cartoon is supposed to sound like. These two composers were among the handful of artists who defined the genre. Carl Stalling (1891 – 1972) was born and raised in Lexington, Missouri and showed musical talent from an early age. He got his professional start working at Disney in 1928, scoring “Plane Crazy” and “The Gallopin’ Gaucho,” the first of his nearly 750 credits. His collaborations with Disney lead to the series of Silly Symphonies cartoons, which he also scored. He remained at Disney for only two years and spent the early 30s freelancing and working for ex-Disney animator Ub Iwerks, who brought him out to his new studio in California. 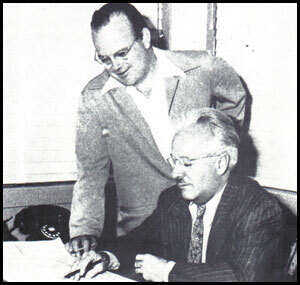 In 1936, producer Leon Schlesinger hired Iwerks, and Stalling came along with him. Leon Schlesinger Productions would quickly become Warner Bros. Cartoon Studios and Stalling now found himself dedicated solely to scoring for animation. In the 30s and 40s he was in the vanguard of film scoring, decades ahead of his contemporaries, developing orchestration and composition techniques that wouldn’t become mainstream until the 60s or later. He created pop-culture mash-ups, musical references from hundreds of years of music history flying rapidly at the viewer. No music was too sacred to pass through his kaleidoscope, preempting the musical free-for-all of the jazz scene in the coming decades. In fact, avant-garde composer / saxophonist John Zorn called Stalling “easily one of the most extreme composers of the period.”* Stalling was the first composer for film to utilize a metronome for syncing to picture. Along with Max Steiner and Scott Bradley, he was among the first composers to ever use a click track, now an essential part of any film composer’s process. Scott Bradley’s career followed a very similar path. He was born in Russellville, Arkansas the same month and year as Stalling (and lived an additional five years until his death in 1977). He came to Los Angeles in the late 1920s and found work in radio and the classical scene, premiering an original oratorio for soloists, choir and orchestra called “Thanatopsis,” based on William Cullen Bryant’s poem. His first animation work was also for Ub Iwerks in the early 30s. 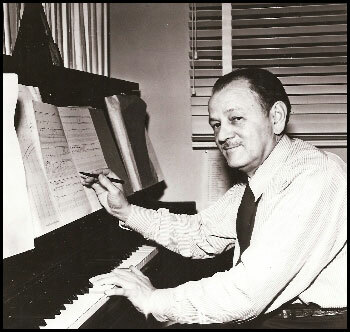 However, when Stalling ended up at WB, Bradley’s path lead him to MGM where he created timeless scores for Tom and Jerry. Their approaches were similar but their styles were very different. 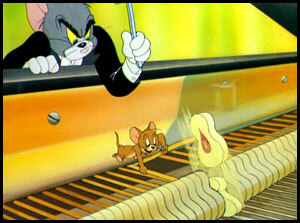 Bradley trained with renowned twelve-tone composer Arnold Schoenberg and actually incorporated the maestro’s twelve-tone technique into his Tom and Jerry scores. (If I’d only known in college composition classes that the frustrating pitch sets and matrixes I was struggling to comprehend were ideas I’d already heard in Tom and Jerry, it would’ve made life much easier!) His reputation among studio musicians was for writing more serious and difficult music than Stalling, although this is primarily because he disdained using musical quotations of famous songs, an approach that defined much of Stalling’s work. Indeed, the greatest philosophical difference between the two men was probably this idea. 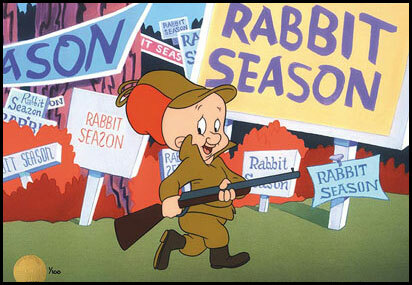 Carl Stalling scored his last WB cartoon, “To Itch His Own,” in 1958 and retired from animation. This was only a year after Bradley himself retired after scoring “Tot Watchers,” before MGM closed its cartoon department. The simultaneous departure of these two men from the animation scene left an undeniable void in the genre. Decades would pass before the quality of television animation scoring recovered. This 15-year period represented the re-birth of Carl Stalling’s musical legacy, and ultimately it’s demise when WB discontinued live orchestral scoring for television animation. I approached Mr. Broughton and asked him to shed some light on his experiences during this incredibly productive time. BM: In the early stages of Tiny Toons, was it always the producers’ idea to use the fully-orchestral Stalling sound for the score? Were there any discussions of making the score more contemporary? BB: The whole purpose of Tiny Toon Adventures was to model itself after the classic Warner Bros. cartoons. When it came to the music, the original and unchanged plan for the music was to stay as close as possible to the Carl Stalling model. I was asked to be the supervising composer, which gave me the responsibility to find and hire composers who could compose in this style. We did 100 episodes. For these I found around 2 dozen composers, more or less, who I could hire. Not all of them, frankly, did the style that well, but there were a couple who were very good at it. Probably the best of these was Richard Stone, who went on to compose the theme for and then supervise Animaniacs and several other WB series. There was never any discussion regarding updating or changing the style. In fact, the only problems we had with the music was when the style deviated too far from the Carl Stalling model. I was involved in all stages of the conception, from beginning to end. The Executive Producer was Steven Spielberg, and he acted as a real producer. I often got calls from him after a particular episode was completed. He was a big fan of the series and of the style. He and his son, Max, would sit and watch them together. 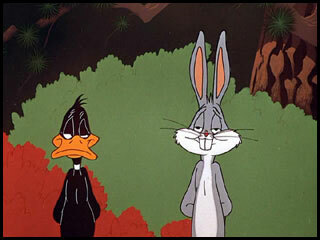 BM: Did the old Looney Tunes scores have any personal meaning to you when you started Tiny Toons? BB: I had independently “discovered” Carl Stalling a few years before, and had become an enormous fan of his style. He began to have a renaissance around the time that the series began. Before the CDs of his music were released, however, I had copies of many of his scores which I had been given by Warner Bros. I even had the good fortune of meeting and talking with his niece, who had been a sort of adopted daughter to him and who had attended many of his recording sessions as a child. Interestingly enough, around the same time as I got the call for Tiny Toons, I was asked to do The Rescuers Down Under for Disney, a picture in a very different style. I was happy to do both projects, since as a kid I had wanted to be an animator and Walt Disney was my idol. In the interim, of course, I had picked up another idol, Carl Stalling. The Disney folk weren’t so excited by my Tiny Toons project, since to them it was a little less classier than what they had. No argument there, except that Tiny Toons turned out to be a lot of fun. The Disney experience was of course exhilarating. I was able to satisfy a lot of animation desires by being able to work on both of these projects. 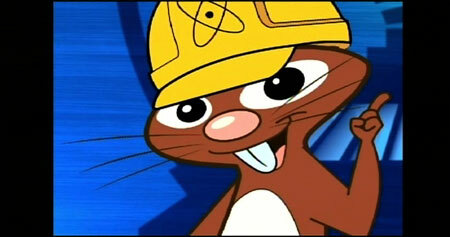 BM: What was it like producing music in this style for Tiny Toons on the schedules of modern television? How was it different from other dramatic scoring? BB: Writing this sort of intensely timed music was time consuming. Many of the composers – most of them, in fact — had difficulty at first getting their heads around what was demanded of them. It was common to hear a lot of whining when a composer was mid-score. However, these problems soon became ironed out once the composers became familiar with what was necessary — and possible. There was also a sort of formula which became devised by some of them. What makes this sort of writing different from other sorts of dramatic writing is the intense timing required. Animation is real life speeded up. Transitions are very, very quick, often less than a second. Having a character turn and change mood in real life can take a few seconds. In animation it can take literally a few frames — very different. The music had to sound as natural as possible. It was also quite action specific. In much contemporary TV animation, music consists of bloops and bleeps. In this sort of style, it consists of phrases, melodies and real harmonic progressions, but with many, many “hits.” It’s much more like compressed background scoring, but it also harkens back to the so-called “classic” style of not only Carl Stalling but also of composers like Scott Bradley at MGM and Winston Sharples at Paramount, not to mention the entire staff of composers at Disney (where Stalling began) and Universal. Composers were generally given two weeks to complete an episode, which normally consisted of twenty minutes of music. Let me put all this in perspective. I’m typically given less than two weeks to produce a score for Terminator, Battlestar or Eureka but this schedule now must include the complete production process of orchestration, copying, printing, recording, mixing and delivering the final product! My time frame for the actual composition is typically no more than 3 to 4 days per episode. This quick turnaround is standard for most contemporary television. Stalling-style animation scores could probably not be produced anymore for this reason alone. BM: Was the delivery schedule for animation scoring in the 30s and 40s different than yours? BB: I don’t know the time frame of the 30s and 40s, but I do know that one big difference between Stalling’s work methods and ours was that Stalling was in on the story conferences; he worked from the animators’ frame sheets. He didn’t see the film while he was working on the score; he was writing while they were drawing. That’s rather incredible, if you think of it. And one other thing: whenever you write in someone else’s style, you’re always second-best. We had no scores that were really at the level of Carl Stalling, although we had some that were very, very good. My initial composition for “Atomic Al” took a full day, although a good chunk of that was spent sequencing, which is technically more like orchestrating. But, once that was finished, there was still more work to do. I passed the MIDI file to orchestrator Brandon Roberts who was suddenly faced with the most technically difficult music cue Sarah Connor has ever provided. 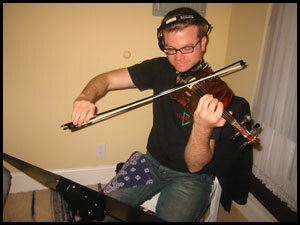 He did a fabulous job adapting the score to our unusual little ensemble, and the following day we recorded it. Typical Sarah Connor string parts aren’t exactly a walk in the park, but nothing I’d written for this show in the past prepared the string players for “Atomic Al.” We broke the piece up into short, manageable segments and trudged through, perfecting each little phrase until we had the entire cue laid down. All the musicians commented that, while fun, the cartoon score was much more difficult than my usual underscore. I was very curious about how an orchestra could possibly record a full 20-minute animation score in this style without spending days and days on it. 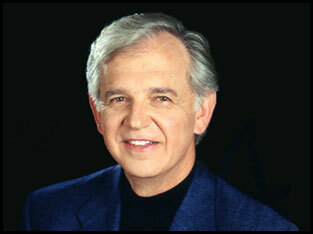 BM: The musicianship required to play this kind of music is incredible. Did you routinely work with the same players for each session? BB: Scoring sessions were exhausting. We generally took a day — six hours of recording — to do one of the scores, and even then we were flying. Like the composers, the musicians at first were overwhelmed with what was required. Very quickly, it became the hot job in town, because the level of virtuosity was so high. All of this music, just like Stalling’s, was sight-read. And of course some of it was very silly, which gave musicians a chance to let down their hair. The performances are really of a very high level. Our orchestra size was about 26. I always worked with the same combination. We rarely, if ever, used French horns, and the woodwinds would double on saxes. I generally used two trumpets, but Richard Stone generally used three. Other than that, the orchestras were often pretty similar. The strings were 8 violins, two violas, two cellos and a bass. Everything else grew out from there. Rarely, if ever, did we use synthesizers. BM: Live orchestral scoring of children’s animation seems to have become extinct. The obvious exceptions are The Simpsons and The Family Guy, but those scores are not scored in the traditional Stalling style. BB: The two series you mention are the torch-bearers in that they are still being produced and recorded live. They are practically the only live-recorded shows on television. TV has become primarily a synth medium, as has much independent film. The reasons for this are various, but the primary one is that of perceived budget savings. I say “perceived” because although there may be a savings for the studio of musician and studio costs, the burden has been thrown onto the composer who has to produce finished scores from a budget that is forced upon him/her as a condition of being hired. If a composer is given, say, $5,000 to come up with a score, this generally means that all the costs of production are to be borne by the composer. So, if a composer wants to hire live musicians, he/she has to pay for it out of the money offered. This is known as a “package.” Anything the composer does not spend, he/she is able to keep and consider “profit.” This benefits the studios much more than it does the composers. Composers’ fees have been dropping dramatically over the last 15 years. The Tiny Toons scores were all done on a “fee” basis, i.e., the money that the composer received was only for the composition. 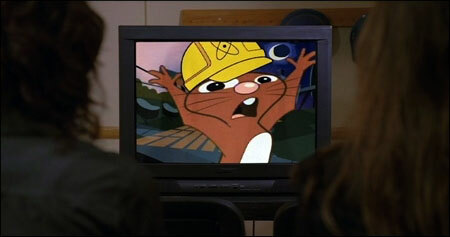 The production costs were paid by the studio. 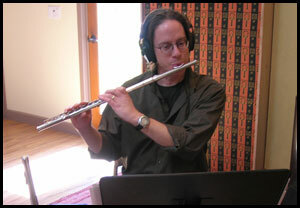 This is of course the preferred method for composers, but not any longer the standard method. Composers have become their own music departments and have been forced to act as independent contractors instead of employees. The bottom line is that composers want to work and will often undercut anyone else in order to get the job. If a studio offers bupkis, there are many composers who will take it. If the job has to be done on synths in order to make a few bucks, that’s the way the composer will do it, the way that the studios will take it and the way the standard will be set. This works throughout film and television. The issue of “packages” Bruce raised is an important one facing composers today that has impacted my life greatly. All my television scores have been producing as “package deals,” on budgets that are modest by network television standards. I spend an extraordinary amount of that budget on live musicians, engineers, orchestrators and studio time because I believe in producing music of the highest caliber. But, composers today are put in the awkward position of seeing their economic interests at direct odds with their artistic standards. As the quality of synthesizers and samplers has improved over the years, the studios’ desire to front the cash for orchestral scoring has dropped dramatically. And one of the first genres to take the hit was kids animation, probably because it is assumed that the target audience won’t notice the difference. Having grown up on the real thing, it pains me a little to admit that may be true. Still, one has to wonder if animation produced today will survive the test of time if composers don’t have the budgets needed to do things right. By the way, I couldn’t resist asking Mr. Broughton one more question. BM: The Tiny Toons theme song. What came first? The melody or the lyrics? It’s hard to imagine one without the other anymore. I’d like to thank Bruce Broughton for taking the time to contribute to this piece.